Before purchasing any hearing aid, it’s important that you do research on the brands that sells them. This would keep your bank account safe, and you not having to regret in the long run. Although, normally, branded hearing aids are expensive because you can be sure about the quality, not all, but mostly. So, why are they expensive anyways? As we all know, all products are being made by an advanced level of technology that requires manpower. To cut it short, they are costly because it covers the professional fees of those who makes the researches, those who builds the devices, transports the devices, and the raw materials the device is made of. Overall, you’re paying for the cost of who made it, how and what it’s made of. Another note, it’s important that you take caution on where you are buying a hearing aid. Obviously, it’s not very wise to purchase hearing aids at online shopping sites, especially when they are too cheap. Issues on quality, warranty, and authenticity will never be guaranteed. In case of product damage, returns won’t be that easy. Hearing aid companies do have websites which clients may go over for convenience, because it’s just a click away from home. Product descriptions & specifications, hearing test appointments, and clientele & seller terms are available to keep clients informed, without them having to go to physical stores. Even so, nothing beats consulting a hearing specialist at a hearing center. The audiologist will run tests, such as the common hearing test, and he or she could give a better advice about what’s the best hearing aids for you. There are a lot of hearing clinics across the United States: Independent clinics, brand clinics, etc. They offer a hefty selection of hearing aid brands. Even big retail stores jumped in the business, and placed hearing aid centers at their establishments too. Some teamed up with hearing aid brands, and exclusively distributes their products. Sam’s West Inc. also known as ‘Sam’s Club’, is an American membership-only retail warehouse club that is founded, owned and operated by Walmart, Inc. since 1983. 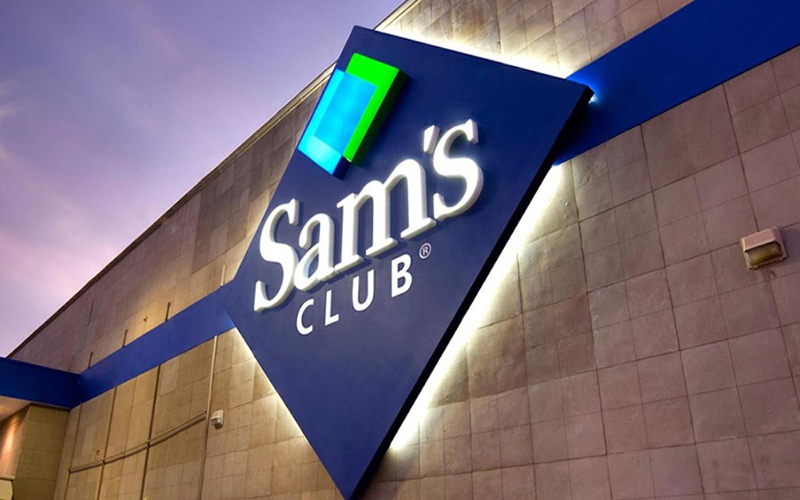 As of January 2018, Sam’s Club is operating in 44 states in United States (including Puerto Rico), with 597 membership warehouse clubs. It also operates in Brazil, Mexico, Canada, and China. It has 19 locations in China, 27 in Brazil, and 162 in Mexico. Sam’s Club offers beauty & skincare products, groceries, electronics, and the like, and even hearing aids. In 2015, Sam’s Club has put up hearing aid centers right next to the electronics department in all its warehouse clubs. Not only you can purchase hearing aids, but you can also avail a hearing tests for free. Plus, the hearing clinics are staffed by hearing aid specialists. Hearing consultations and fittings happen at the very place you’re shopping at? How cool and convenient is that? Sam’s hearing aid specialists and audiologists make sure that you’re given the right kind of hearing aid. From 2015 to 2018, Sam’s Club hearing aids has been carrying a private-label aids manufactured by a company called General Hearing Instruments, Inc. (GHI) and another brand named, Liberty. There have been no announcements and news about an additional brand for now. So the question is, how do I find a good quality hearing aid at Sam’s when there are only two brands available? Well, there must be a reason why Sam’s only selected these two brands. They’d probably want to sell only two quality-guaranteed hearing aid brands than selling a ton without the assurance of good quality. So far, the feedbacks from these hearing aid brands are positive, respectively. The number of how many brands a store offers is only there to cater a human’s instinct response to preference. We normally choose things we want to buy, to eat, to wear, and the like; to feed our personal needs and wants, and we might find the satisfaction to some specific brands. The more the variety, the more you have options to choose but, will be harder for you to decide which is which. Plus, it might hurt your bank account since not all products work for us best the first time. Also, quality is not always guaranteed to all brands. A little tip to be a wise consumer, it’s always quality over quantity. Two good quality hearing brands is better, more convenient, saves your money, and saves your time. How to find a good quality hearing aid at Sam’s? Normally, as a consumer or a client, when we want to acquire a product from a certain brand, we take caution of the price, the quality, and its feedback because we want to buy something that works and lasts for a long time, especially when it comes to hearing aids. Hearing aids should be properly working for years and years. Which means, a hearing impaired person does not need to buy hearing aids every month. There are no cheap hearing aids, let’s be real. But there are the “affordable type of pricey”. It’s costly because it aids your hearing. Which a major problem. Anything major is pricey. But lo and behold, Sam’s got your back. Their hearing aids are fairly priced, and works just as well as expensive branded ones. It’s very important that we know the hearing aid brand that we want to buy. It’s a proof of authenticity, and you can be sure where to claim that warranty. Anything that is unbranded is suspicious enough. · Read about the brands online. Pamphlets and booklets are not a thing nowadays, everything is in the internet. Read forums about the brands (GHI AND Liberty) and in blogs, or check their official websites, or their social media platforms (if they have). Companies often leave information about the products they are selling so you should be able to check them out. It assures you that the brands are authentic and reliable. Anything authentic is already a good start. · Contact the manufacturing brands. Check your phone directory for the company’s contact number. You may also call their hotlines. And ask them about the brand’s products, and details of each. Don’t worry, it’s your right as a client. 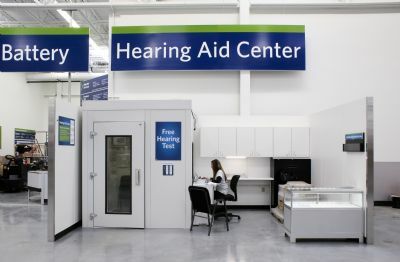 · Visit any Sam’s Club hearing centers. Sam’s Club is open at 44 states in US alone. It should be easy for you to find the nearest Sam’s. They have hearing specialists who will assist you. It’s best to ask them about the brands. They know about prescription hearing aids and generic ones. They will suggest the best option for you. · Consult a hearing specialist. Whether it’s a Sam’s hearing specialist or not, it’s better that someone professional in this field will educate you about your condition and the best hearing aid brand for you. Listen to them. Do not self-diagnose and buy hearing aids at your own liking. You want to have the best, consult someone who’s got best knowledge about it. Look for the type of hearing aid prescribed to you, and then check if it’s available at Sam’s. · Check Sam’s website. All the hearing aid devices are listed at Sam’s website. You can read the product details, specifications, etc. The manufacturer’s website is also linked. Photos of the devices of these brands are also posted. Click, view, and read. · Read everything about the product. Most of the time, we try to skip at the part where we read a long paragraph of a product’s detail. Don’t just buy it just to get it over with. You are going to invest on a hearing aid device. Know the brand, the product, and then you decide whether to buy it or not. If the specifications does not meet your hearing needs, then it’s not the best for you. If the technology and the specifications meet your needs, then it probably is the best for you. · Read the reviews for feedbacks. Previous buyers may or may not leave their product ratings and comments on a specific hearing aid, but try to look at ones which have higher ratings than others (4-6 stars). On Sam’s website, you can see the star ratings and the customer’s feedback on a product. This should give you time to weigh your options and then decide what to get. So far, GHI is first on customer ratings. · Ask someone who personally uses the product. Talk to people who have used GHI and Liberty hearing aids. They can be your friends, or random strangers you meet at Sam’s Club hearing centers. They can give you the most honest feedback as they experienced the products firsthand. These people might give you insights on how to get used to this brand, the pros and cons, etc. If most of the feedbacks are positive, then you know it’s a good brand. · Weigh the prices. Hearing aids are relatively costly, but the price doesn’t always equate the quality. Some hearing aids are expensive but works like zero from 1 to 10. Some are much more affordable (Like Sam’s) and works really well. · Match them to your needs. Whether it’s GHI or Liberty, the best hearing aid brand for you is the one that matches your needs. Now, let’s get to know the two hearing aids brands at Sam’ Club. 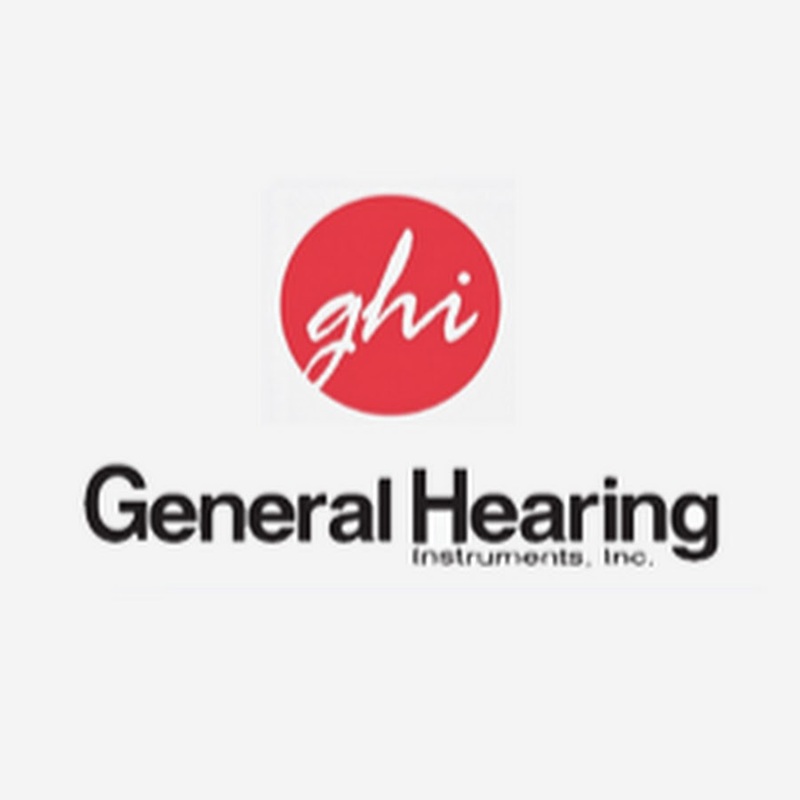 General Hearing Instruments, Inc. is an American hearing aid manufacturing company established in 1984, and has been providing prescription hearing aids and non-prescription hearing aids since 1985. Their manufacturing plant is located at Harahan, Louisiana, which speaks true to their claim, that all their hearing aids are 100% hand-crafted in the United States. Currently, they have a total of 24 patents. These GHI hearing aids are all available at Sam’s Club warehouses, and Sam’s website. You may avail the custom-made prescription hearing aids (which will suit your hearing needs and will need you to be fitted) and the non-prescription hearing aids (which is the generic one and won’t need you to be fitted).